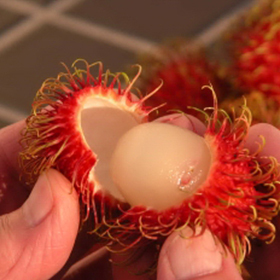 Our exotic fruit is grown in the hills of Puerto Rico each year. Availability is determined by the rainy season, which usually starts in April or May. This causes the flowering which then helps us to time the harvest. 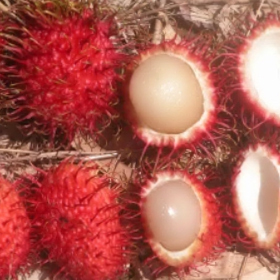 Typically, our harvest of mangosteens, rambutan, achachairu and durian starts anywhere from the beginning of July to the middle of August, and it goes for 7 to 12 weeks. 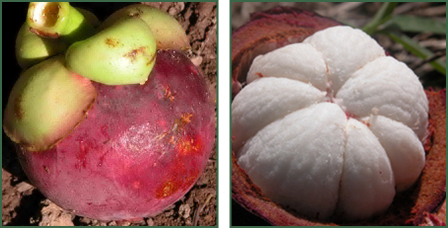 There is an informational website about the mangosteen at mangosteen.com. Longan, another sweet and delicious fruit, appears later in the summer and runs from late August to October. 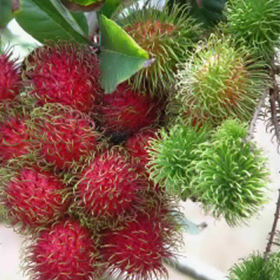 One other fruit worthy of mention is the pulasan. 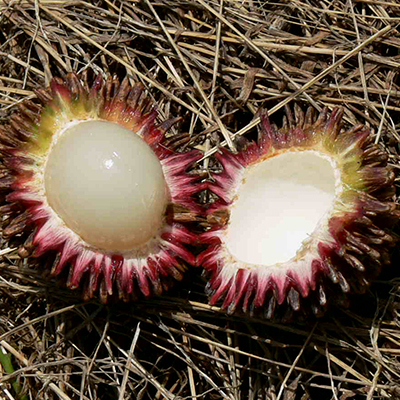 These are less common than the rambutan, closely related and exquisite. I hope to plant as many as I can going forward. In 1994, the farm was originally intended to be a coffee farm and it was supposed to be at a much higher altitude than where it is today. Once I became aware of the extraordinary world of exotic fruits and nuts, I decided to move ahead without coffee and focused on the mangosteen. It is a very slow tree, needs about two years in shade before being planted in full sun and then, you wait six or eight or more years until the first flowers appear. 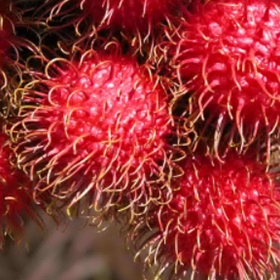 To bring in income sooner, I planted rambutan which had already been planted in Hawaii back in the 90's. This was followed by the infamous durian which has both its fans and detractors due to its strong cloying odor. Once I tried my first durian, I knew I was going to buy and plant as many as I could and this worked out well until Hurricane Maria. There were other trees that ended up being planted and one, the langsat, took 12 years to first flower. Sturdy, very hard wood, many survived. 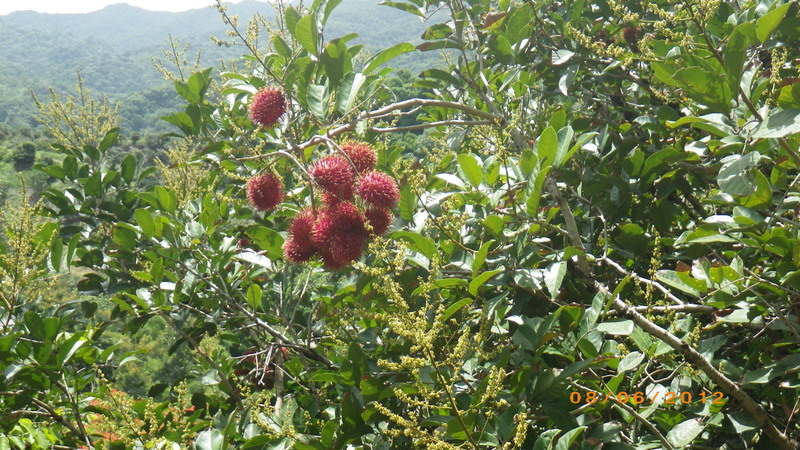 My goal is to plant as many rambutan, pulasan and durian as I can and retore the size and productivity to pre- Hurricane Maria. This only happens with your help and the USDA, as well.